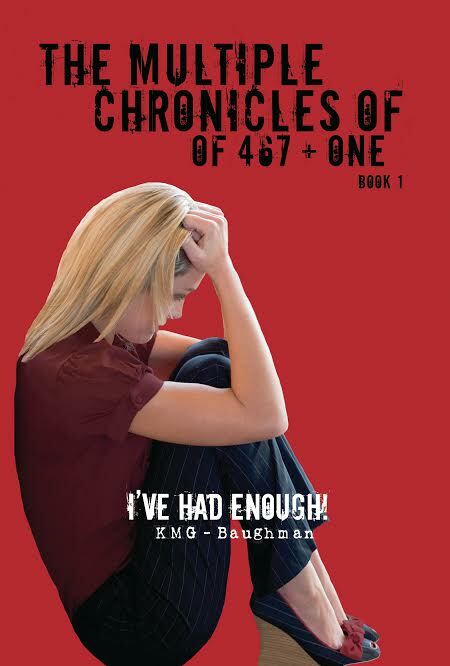 The Chronicles of 467+ One, Book 1, "I've Had Enough" by KMG-Baughman tells the story of Alyssa Schaeffer, a woman learning to live, and to cope, with Multiple Personality Disorder. "I've Had Enough!" Book One of the Chronicles of 467+One is the new must-read for anyone who has either struggled with the effects of abuse, or knows someone who has. When a woman's life spirals out of control and causes a complete mental breakdown, she finally gets the help that she has needed for so long. What she discovers is quite literally, mind-blowing. It began when she was a child. Layers of memories peel back to reveal years and years of abuse at the hands of people she should have been able to trust. How does a child's mind cope with years of physical, emotional, even sexual abuse? Alyssa Schaeffer lived for years with undiagnosed Personality Disorder. Finally, after a mental breakdown, she develops a relationship with a therapist, Dr. Price, who helps her understand what she is coping with, and why. While reading "I’ve Had Enough! ", readers will begin to see what the lifetime of abuse has done to Alyssa. This book takes the reader through the horrifying experiences associated with Multiple Personality Disorder, and the struggles of a woman brave enough to finally seek and accept help in hopes to learn to trust, and love, again.